Newton Aycliffe progressed to the last eight of the League Cup with a good win against Guisborough. They had to shuffle the pack somewhat due to injured and cup-tied players, but they played some attractive football and gave Guisborough no real chances throughout the match. Guisborough opened the game slightly the better, but Aycliffe came into the game and started playing their football. Man-of the match Ethan Wood pulled the strings in midfield. Neither goalkeeper was really tested in the first half and it ended goalless. Aycliffe went ahead five minutes into the second half. Matty Pennal got onto the end of a pass and was hauled down in the penalty area. The ball ran loose to Shaun Hudson who slotted home, with the referee having played a good advantage. Guisborough had a player sent off two minutes later for a last-man challenge. Wood hit the bar for Aycliffe on 56 minutes and the follow-up header was disallowed for offside. They fashioned a good move on 80 minutes when Pennal pulled the ball back for Hudson, whose strong shot was blocked by the Guisborough defence. 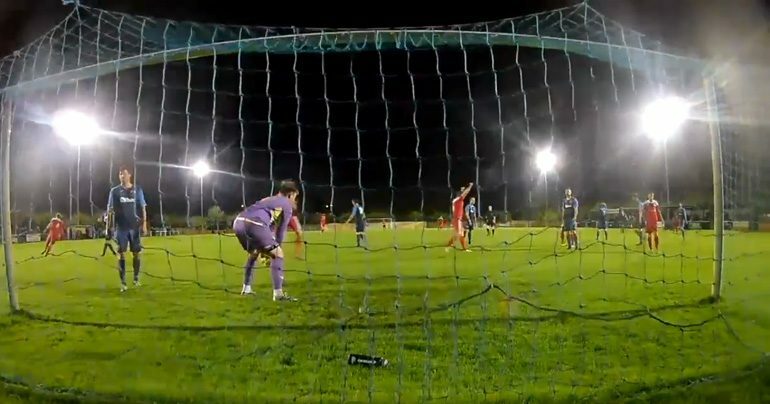 Aycliffe had Pennal sent off with three minutes to go, but held out comfortably for the win. Aycliffe have three more consecutive home games – Stockton (Saturday Dec 15), Shildon in the Durham Challenge Cup (Tuesday Dec 18) and Shildon in the league on Boxing Day.